General Grabber AT is an all-terrain tyre that provides strong grip and excellent handling, both off and on the road. General Grabber AT is an all-terrain tyre that provides strong grip and excellent handling, both off and on the road. Robust construction protects against damage to the tread pattern and sidewalls, whilst delivering comfortable handling and high mileage. 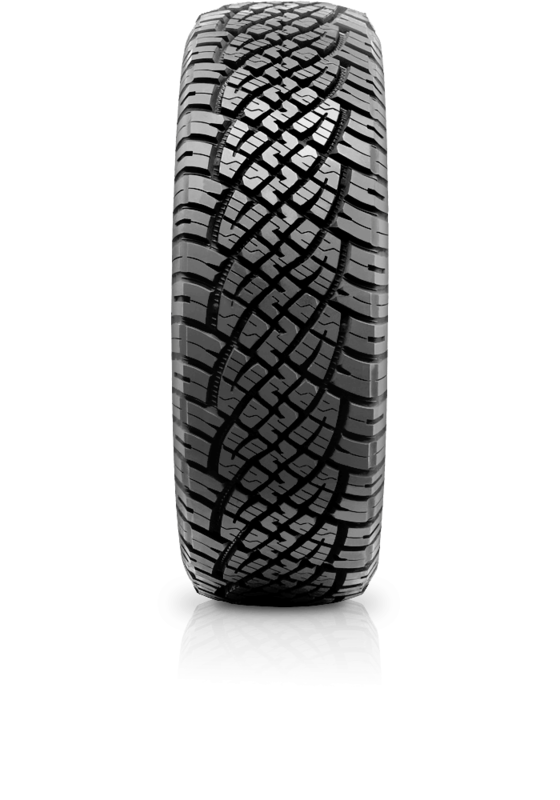 The compound and the tread pattern were developed with a focus on greater safety off-road and on asphalt. Compared with Grabber AT2 the Grabber AT delivers improvements in wet braking performance and a reduction in road noise making it an excellent tyre for use on and off the road.